We’d love your help. Let us know what’s wrong with this preview of Agatha Moudio's Son by Francis Bebey. 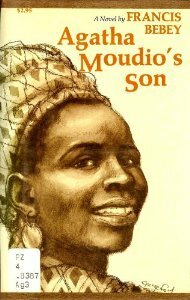 To ask other readers questions about Agatha Moudio's Son, please sign up. A story of tensions between old ways and new in an African village. Even in the 1960’s, when this story was written, times were changing. The main character, a young fisherman, is a wrestler and the strongest boy in the village. He helps the village chief stand up to white men who come every weekend to the jungle near the village to shoot monkeys. The village leaders do manage to get some compensation, but the young man serves two weeks in jail. But his courage attracts the attention of the most A story of tensions between old ways and new in an African village. Even in the 1960’s, when this story was written, times were changing. The main character, a young fisherman, is a wrestler and the strongest boy in the village. He helps the village chief stand up to white men who come every weekend to the jungle near the village to shoot monkeys. The village leaders do manage to get some compensation, but the young man serves two weeks in jail. But his courage attracts the attention of the most beautiful girl in the area, from a neighboring village. In fact, polygamy is related to how the beautiful young woman went astray. The village tradition is that if a first wife does not produce a son by the third-born child, the man will marry again. The beautiful woman (Agatha of the title) was the third daughter in a row. Her father was furious and would have nothing to do with her. Her mother became ill and died of an illness aggravated by the grief of having birthed three girls. So Agatha essentially grew up as an orphan with no parental guidance. The tension between old and new is shown in a variety of ways. People half-believe in the old ways - why not, what harm can it do? So when the fisherman does marry, his wife has to go to the local herbalist woman to receive various drinks and lotions to ward off evil spirits. The young man is free to reject the pledge of his father, endorsed by the village elders, but only by leaving the village. A new well installed in the village square is convenient for the women but many dislike “the white man’s water” because the gossip around the well sows discord. The story is set in Cameroon, in west Africa, east and south of Nigeria. 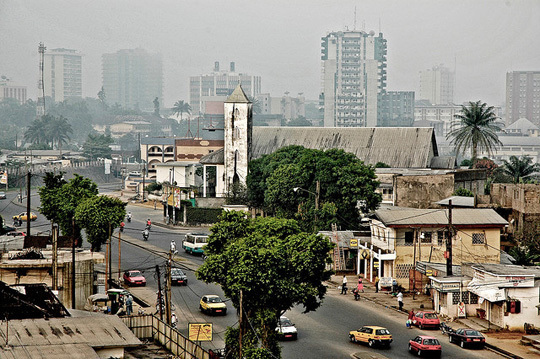 The village is a suburb of Douala, once the capital and still the largest city of the country. 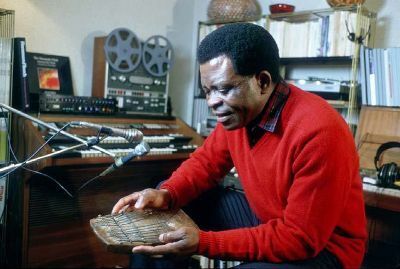 The author (1929-2001) grew up in Douala and later attended university in Paris. He taught at several American and European universities. In addition to his writings, he was a musician and a sculptor. I have often heard that every writer has a unique style of writing and in Africa, the main role or writers is not only to depict life as it is, or could be but to do so without losing touch of culture and the people's beliefs and that's exactly what Francis Bebey does in this book. The story follows a man, La Loi, who loves Agatha, the girl everyone deems a prostitute and he in time marries her and makes her his wife-but with all this his first wife, Fanny, has a child with his best friend-at suc I have often heard that every writer has a unique style of writing and in Africa, the main role or writers is not only to depict life as it is, or could be but to do so without losing touch of culture and the people's beliefs and that's exactly what Francis Bebey does in this book. The story follows a man, La Loi, who loves Agatha, the girl everyone deems a prostitute and he in time marries her and makes her his wife-but with all this his first wife, Fanny, has a child with his best friend-at such deception, he still raises the boy because his adviser King Solomon as he is known tells him so-makes him see the sense in it. Agatha has a child in time, and the greatest deception of all comes from her when the son she bears him is white-because she had an affair with a white gentleman behind La Loi's back. In reading this book I kept asking myself if La Loi could take one more deception from his wife, and when he agreed to raise the child-it made me ask why? What became of his relationship with Agatha? Did he as a result believe and confirm all the village talk about her?